Top brand name Kimberly Clark designed these c-fold paper hand towels to provide quality, consistency and performance in every Carton. 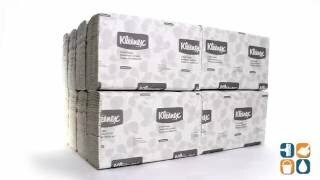 Kleenex is a name known and trusted for quality products that can be counted on for softness, absorbency and performance. These dependable towels will provide gentle, effective hand drying for your employees and customers. EPA compliant for post-consumer recycled fiber content, these hand towels are perfect for environmentally conscious consumers who want a quality product that is affordably priced. Stock up on Kleenex 1-ply, embossed hand towels to add a touch of elegance to any restroom, including those in executive offices, high end restaurants and medical facilities. Compatible dispensers are sold separately. 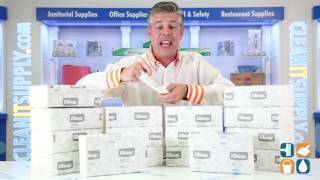 CleanItSupply.com - the wholesale janitorial company buyers trust. We use the product on a daily bases; cleaning hands, tables, lab equipment, etc.